Flickr The development of the narrow canal system at the end of the 18th century arguably facilitated the industrial revolution in the West Midlands, and shaped the physical and economic development of the region up to the present day. Construction of the canals resulted in the development of some of the most important, innovative and enduring feats of engineering and architecture of the period. Today, the canal system remains largely unaltered and continues to function as originally built. 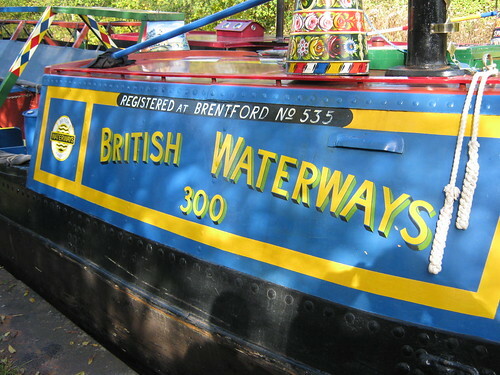 The Working Boats are an important depiction of the variety of freight-carrying and maintenance craft that worked on the West Midlands canal system. The conservation of these traditional boats on the historic canals is an important aid to understanding and interpreting the cultural significance on the physical and socioeconomic development of the region. 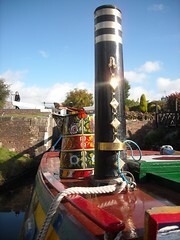 The character of canals is not only dependant on the built and natural environment, but also on the types of boats using them and the methods used to work these boats. The canal “scene” is enhanced and brought alive by the presence and working of traditional boats. Flickr The true significance of the canals is enjoyed and appreciated because of the enhanced understanding that close contact with original objects brings to people. The Heritage Working Boats Group was formed, as a group of volunteers, to maintain a collection of working boats on behalf of the Canal and River Trust. The boats are taken to events throughout the Midlands for display to the general public to provide an insight in to life on a working narrowboat. They are also used as an education resource attending a number of education events during the year, which are run through the Canal and River Trust Education team (Canal and River Explorers), giving an opportunity for school children to step aboard a working narrowboat. At all of the events volunteers from the group are on hand to show people over the boats, explain about the history of working narrowboats and the people that worked and lived on the canals. Use the links on this page to find out more about our boats, the volunteers and how you can become involved by becoming a volunteer for the Heritage Working Boats Group.